From Goodreads ~ Eight years ago, Tess and Jake were considered a power couple of the New York publishing world - happy, in love, planning a family. Failed fertility treatments and a heartbreaking attempt at adoption have fractured their marriage and left Tess edgy and adrift. A visit to friends in rural Vermont throws Tess's world into further chaos when she sees a young, half-dressed child in the middle of the road, who then runs into the woods like a frightened deer. Tess and Jake have gone to visit friends for the weekend in rural Vermont and there is a lot of tension between them. After an evening of drinking, Tess drives to the closest town to pick up another bottle of wine. On the way back, she comes across a half-naked four-year-old girl in the middle of the road. 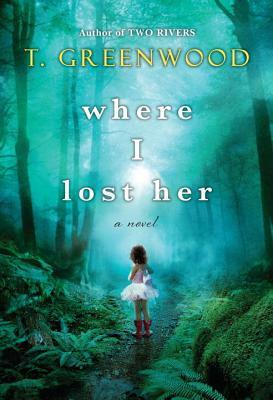 The girl is startled and runs into the woods with Tess in pursuit but to no avail. Tess calls the police and a full search for the little girl is conducted. When it results in not finding the girl, the search is called off, the local police say that there is no missing girl and Tess is just looking for attention. Tess is obsessed with finding the girl and does whatever she has to do to find her. This is the first book I've read by this author and I thought it was just okay. I thought the writing style was fine, though it could have been a bit tighter as it seemed to drag on at times. It's written in first person perspective from Tess' point of view. It jumps back and forth from today to about eight years ago when Tess and Jake had tried to adopt a child. There were references to Tess' behavior because of the adoption but we didn't find out what they were until close to the end. No doubt the author was trying to build suspense ... I found it annoying. I just wanted to know what had happened because it reflected on Tess' credibility today. As a head's up, there is swearing. I didn't connect with Tess. I know she had a lot going on but I found her cold and unlikable. I had a hard time believing she did as much investigating as she did but didn't get caught, arrested or killed.